Screenwest Emerging Producer Initiative recipient Brooke Silcox will head to Sydney Film Festival 2018 in June to represent three films: JIRGA, ROCKABUL and JUDAS COLLAR. “The opportunities that have opened up to me as the recipient of this initiative have been phenomenal,” Brooke said. “I truly would not have been able to take advantage of the experiences I have had with these three films without it. In January 2017, Brooke started a seven-month internship with veteran producer John Maynard and Bridget Ikin from Felix Media as part of the Screenwest Emerging Producer Initiative. Through this internship, she associate produced the feature film JIRGA. JIRGA, directed by Benjamin Gilmour (SON OF A LION), tells the emotional story of a former Australian soldier who travels to Afghanistan in order to seek forgiveness. The film will have its world premiere at Sydney Film Festival, where it will also be in competition for the festival’s top prize. As a result of working on JIRGA, Brooke was introduced to Travis Beard, a journalist turned documentary film-maker. Travis approached Brooke to produce ROCKABUL, his eight year in the making documentary on the only metal band in Afghanistan at the height of the war. Brooke said that, although it was a music-driven documentary, it was the humanitarian aspect that captured her attention. ROCKABUL has been selected for the Documentary Australia Foundation Award for the Best Australian Documentary at Sydney Film Festival, where it will also have its Australian Premiere. It recently had its world premiere at the Rotterdam International Film Festival. Brooke also produced the Screenwest Elevate70 financed short film JUDAS COLLAR written and directed by Alison James. JUDAS COLLAR tells the story of a wild camel in the Australian outback who is captured and fitted with a tracking device known as a Judas Collar. Based on a real-life practice, the short film explores the importance of connection in addition to the tragedy of self-sacrifice. Brooke praised Alison for her talent and dedication as a writer/director. 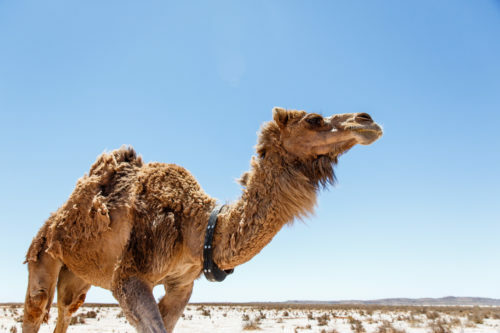 “We were working in regional Western Australia in the heat during November with eight camels. All the while, Alison was pregnant with her first child,” said Brooke. JUDAS COLLAR has been nominated for the Best Australian Live Action Short film. It was also selected for the prestigious DENDY Awards. The DENDY Awards launched the careers of many filmmakers such as Gillian Armstrong, Phillip Noyce and Jane Campion. JUDAS COLLAR will have its world premiere as part of Sydney Film Festival. Sydney Film Festival Award winners will be announced at the Closing Night Gala on Sunday, 17 June.